Moving Families From the Bay Area All Across the Country! We combine true professionalism and affordable flat-rate pricing to keep cross country moving simple and stress-free. Involving distances of hundreds or even thousands of miles, it’s no surprise that cross country moving can be a real challenge to complete—especially if you’re doing it without the help of skilled moving professionals! Instead of attempting a long distance move on your own, work with the Bay Area cross country movers of Upline Moving. We understand how stress-inducing this type of move can be, and we’ll take care of all the details so that you don’t have to. As you begin your search for a reliable long distance moving company, start by reaching out to Upline Moving! We’ve been one of the top-rated residential moving companies across the Bay Area for over a decade, and we’ve used our years of experience to truly perfect our craft. 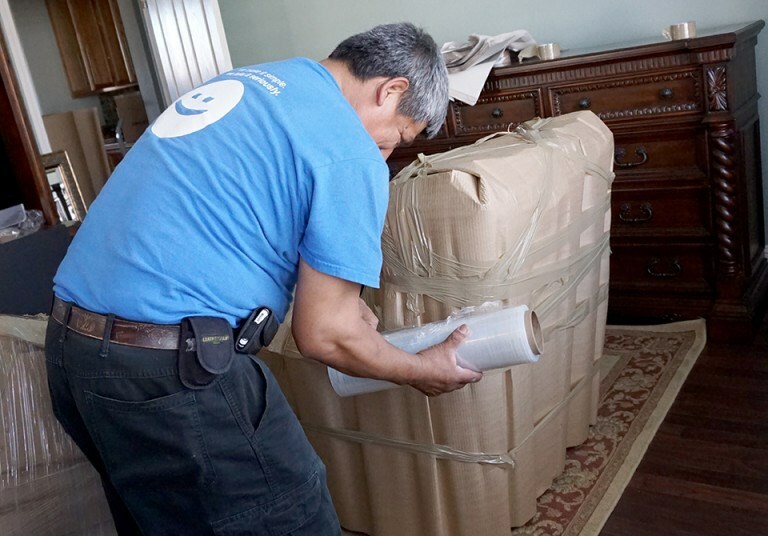 We won’t just throw your things in a box and haul them across the country; we’ll treat your furniture, artwork, appliances, and heirlooms with the same respect and care you that do. We even offer a number of upgraded valuation coverage options for further peace of mind! Need Cross Country Movers From the Bay Area? Contact Us Today! At Upline Moving, we thrive on more than 70% repeat business—a strong reflection of the expertise and courtesy of our highly trained residential movers. Why not treat yourself and your family to the five-star experience on which we’ve built our reputation? We promise to do whatever it takes to wow you from door to door. Getting started is easy; all it takes is a quick call or online form submission. We’ll get in touch to schedule your free in-home consultation and quote at a time that suits you!